The cold winter months occasionally present opportunities to get outdoors and enjoy activities in the snow, but it’s just as tempting to stay inside where it’s warm and indulge in your favorite comfort foods. When you combine cooler temps with the stress and the food extravaganza of the holiday season, you might discover you’re carrying some unwanted pounds come spring. The good news is, it’s easy to get back on track. Try one of these five tips to shed winter pounds and get your body healthy in time for the warm summer months. Increasing your daily intake of water can help you shed pounds in two ways. First, if you’ve been consuming sugary sodas, coffee drinks with cream, high-calorie sports and energy drinks, or alcohol, you’ve been drinking calories that are likely being stored as fat. If you substitute those beverages for a low-calorie alternative, you’ll cut back on sugar and pounds. Also, drinking a big glass of water before meals have been proven in clinical studies to curb your appetite. In one test, people who drank two glasses of water before a meal consumed between 75 and 90 fewer calories, and those calories add up. You could cut as many as 250 per day from adding water alone and be well on your way to shedding a pound a week. While weight loss is best achieved through a combination of a healthy diet, regular cardiovascular activity, and weekly weight training, many people neglect one or more parts of the equation during the winter months. If your diet has stayed relatively healthy and you’re still getting in your 30 minutes of cardio five days a week, add weight training to your schedule. Not only has it been proven to increase lean muscle mass, which will rev up your metabolism, but it is also an excellent way to shape your body and build strong muscles. 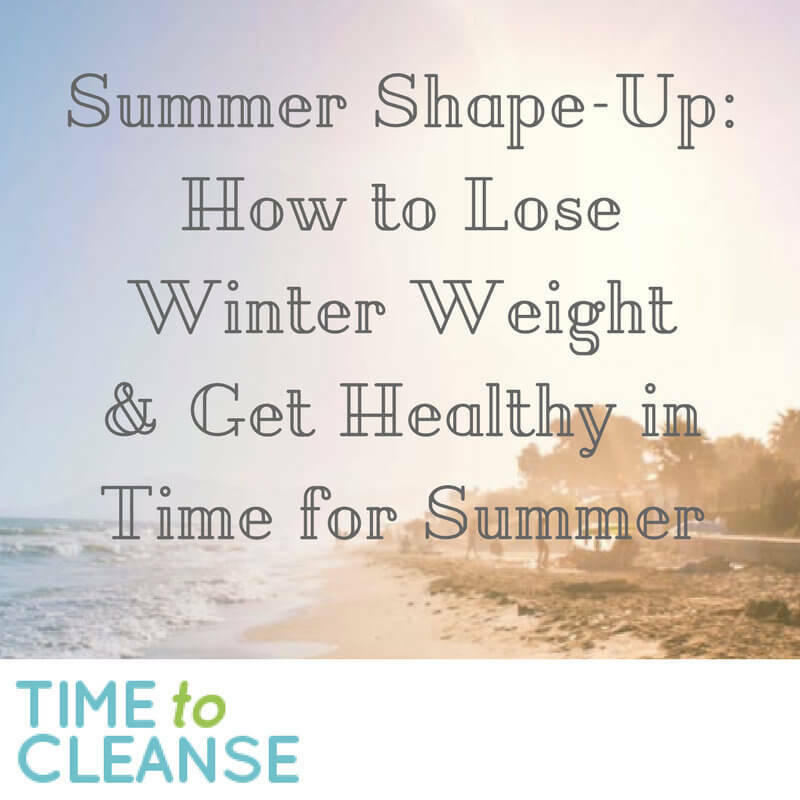 Intermittent fasting is one simple and clinically proven way to shed pounds and shape up in time for summer. In one study, researchers viewed side by side MRI scans after a program that included a weekly cleanse protocol and discovered that, after a 30-day period, the people who were following the program decreased their visceral fat surrounding the organs and lost more weight than those who simply followed a “heart healthy” diet. Doing a weekly cleanse is a safe and effective way to safely cut calories and boost your weight loss while eliminating toxins and shedding fat from your frame. If you haven’t been working up a sweat regularly, it might be tough to find the motivation to get back to the gym. Get inspired by trying out a fitness class you haven’t experienced before. Formats like cycling or rowing are great cardio and easy on the joints, while yoga, pilates, or tai chi are fantastic for fostering a mind/body connection. If you really want to feel the burn, check out an interval based class like the popular OrangeTheory Fitness, or stop by a local boxing or MMA gym to put on some gloves and take out your frustration on a heavy bag. No matter what class you choose, it’s likely you’ll work out harder in a group than on your own, and you’ll see great results in time for summer.